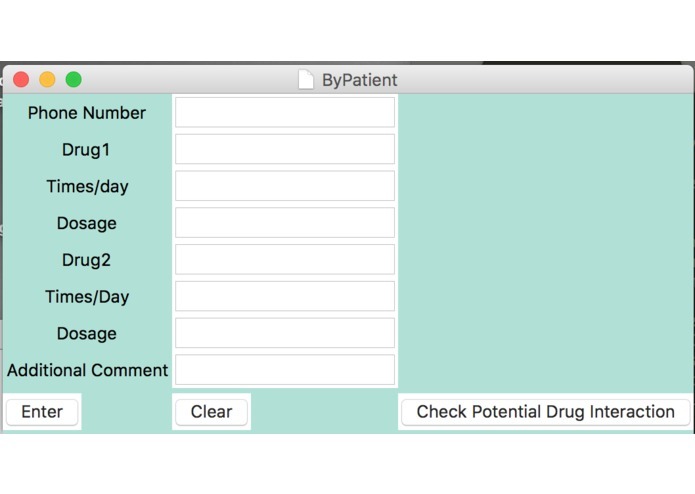 Pop-up window when you click "Check Potential Drug Interaction"
Millions of patients do not always follow self-care efforts due to many reasons such as forgetfulness, lack of understanding, loss of instructions, misinformation, and many other reasons. This results in tens of thousands of them to have to seek additional care -- something that could have been very easily avoided if they had just followed the instructions. ByPatient allows the health-care provider to put in information into an interactive and self-explanatory GUI. 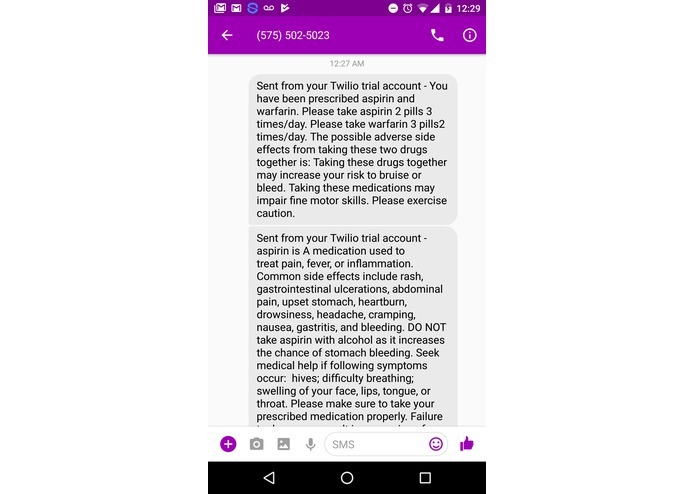 It will then send a text message to the patient's phone number with information such as instructions on taking medication, doctor notes, quick explanation of the drug, and and potential health risks. 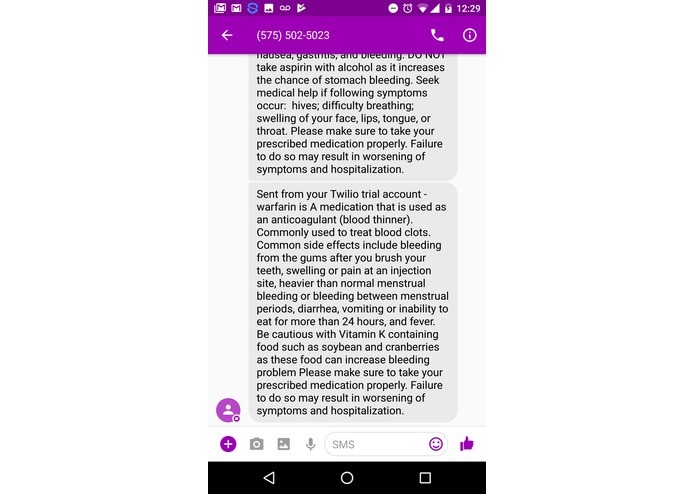 Compared to just verbal messages or notes written on paper which are easily forgotten and ignored, these text messages will always be available to the patient. 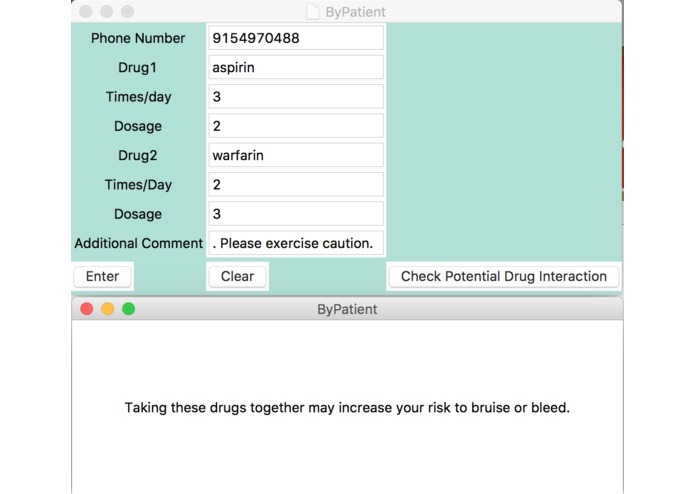 An additional feature of ByPatient is it checks potential drug interactions. Both the health-care provider and patient are notified of any possible drug interactions. This could help reduce patient deaths attributed to careless mistakes regarding fatal/dangerous drug combinations.